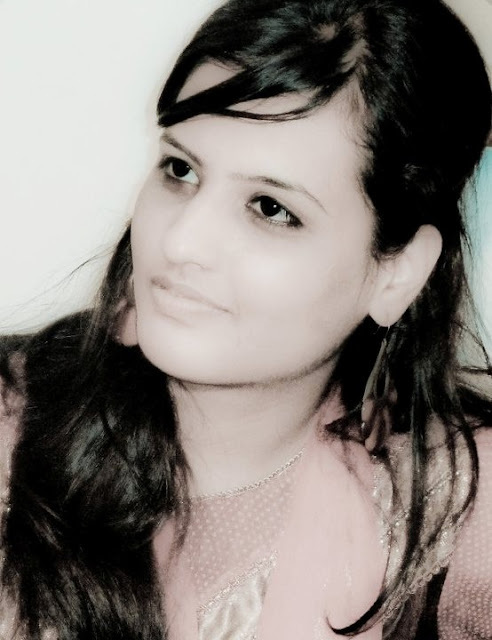 Another interview with another author rather a poet this time, Nikitha Hingad. Nikitha has written the book Philia and Sophia which is about Love and Wisdom . I have read the book and if you want to read the review please visit Book Review : Philia - Sophia by Nikitha Hingad. Hope you like the interview. Q: “Philia and Sophia” made you a published author rather a poet, how does it feel now? A: It feels amazing to hold a book in your name. No words for this feeling. Q: How different is it to write poems than prose? A: Poetry and prose are completely different. Prose needs characters and plot. Even the way we make sentences in prose is different. Poetry is like walking on tight rope where you follow grammar and also are rebelling the normal way of writing. Poetry is more creative I feel. For example, I have poems in staccato style in which I do not write complete sentences, but just words, connecting and the rest left for the imagination of the readers. Q: “Philia and Sophia” is about love and wisdom, does one need to be in love and intellectual to read these poems? A: Not really. I have mentioned in my book that Philia is also for anyone who wants to be in love. And Sophia is too general. I think anybody can read Philia and Sophia. A: I am a Chartered Accountant student. A: Yes, I read a lot. Nowadays I surf a lot. My favorite book is Little Women by Louisa May Alcott as I completely connect with the story. I also like P. S. I love you, it made me really cry. Q: I have read your book and one of the line in my review was, “Beauty and Brains are rare to find and this book has both, if it were a girl I would have had a crush on her” how do you react to such reviews and have you received any other review/comment that made you go wow? Mahesh says “The book is a wonderfully refreshing change from the usual fiction and self-help books and mythological re-twists that are flooding the Indian markets.” He rightly pointed out that Indian readers should experiment. And also a poet from UK, Linda Dobinson, said “Nikitha certainly has the wisdom of the East, but what struck me was the passion, it flows from her pen in every word” She could feel my passion and this makes me feel good. “To speak of the language of the poems and writings in the book, I really enjoyed reading her poems for the simplicity of the language and the depth of wisdom. Her poems and writings travelled deep beneath the sea using the simplest language I have ever read and left me enthralled. Her words, simple and subtle, pierced through my heart and soul and touched the very core or the center of my existence.” I am glad Rishikesh Pande saw my simplicity. I just wanted to understand the depth. A: Yes, I feel I have a writer’s block now. :P Right now I am just reading. I think reading is the best way to come out of writer’s block. Q: Two things that you like and dislike the most about poetry? A: What I like about poetry is the various forms in it. I like the way poets come out with their own styles. Poetry is short and memorable write up. A: I prefer traditional books any day. It is much better for eyes. Q: Which genre is your favorite, your favorite book in that genre and what can we expect from you in that genre? A: Chick lit is my favorite genre. I think I would want to write a passionate love story. Q: How long did it take you to write “Philia and Sophia”? A: My poems are written in a span of 9 years. But I took 5 months to compile them. A: I like occult sciences. I read a lot about astrology, palmistry and tarot. And I love watching documentaries and movies. Q: Tell us something about the process of getting your book published? Has the process become easier with so many publication houses coming up recently? A: Yes it is. These days you need a manuscript and fill a form and your book is out there. Q: If you get a chance to rewrite any other published book, which would that book be and why? A: This is a tough one. I would rewrite Harry Potter and Deathly Hallows and keep Fred Weasley alive.